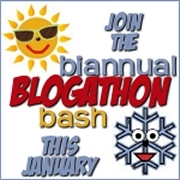 I am feeling more be productive after joining the biannual blogathon bash this weekend. it’s not too late! Just visit this page or click the picture above for info on how you can participate too. There is so much great info to wrap your head around in terms of growing your blog and more importantly, lots of PRIZES! help my blog grow and have fun. To nap or not to nap that is the question. Some children need only a half hour nap and others require an hour rest. There are some children who after sleeping too long stay up longer at night. The thing to remember is that a regular routine should be followed. There is an article I read from Children's Hospital -St Louis where it was said that children who nap have longer attention spans and are less irritable than those who are not napping. Sometime after 3 years of age the naps should be replaced with a structured quiet time. This quiet time should be used for looking at books,working puzzles and play that is less active. This is not a time for TV, videos or games. All children need to learn to entertain themselves quietly and play alone. So the question to nap or not to nap-when your child's personality and behavior becomes consistent in the afternoon hours-usually between ages 3 and 5 years of age-it is an indication to forego the nap.